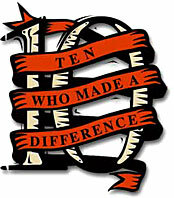 Who has made a difference? The Honolulu Star-Bulletin invites you to nominate people who have made a difference in Hawaii this year. They can be people who fought controversial battles in public or worked behind the scenes in any field -- community service, education, politics, law, labor, medicine, science, business, sports, entertainment, the arts. All that matters is that they had a devotion to their cause and made a profound impact on Hawaii in 2005. To make a nomination, explain why you think the person should be honored. Honorees will be selected by Star-Bulletin editors. We will publish the results starting Dec. 22. Please include the following information: Your name, your nomination, your work and home telephone numbers. Deadline for nominations: Dec. 13.